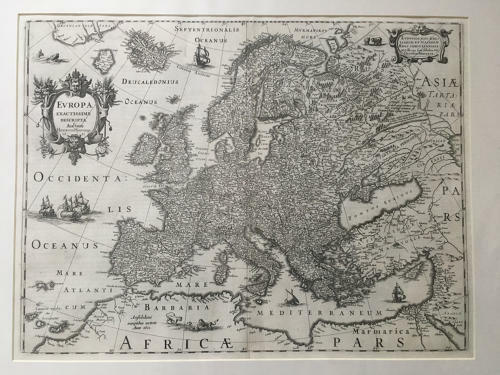 A fine and very elegant map of the European continent. Embellished with two cartouches, several ships and a sea-monster, polar bears and lions. With the imprint of Henricus Hondius and the date 1631. In very good condition in a mount ready for framing.